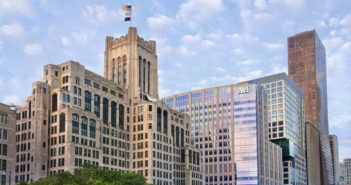 You are at:Home»Archive for "Northwestern Medicine"
U.S. News & World Report recognized four Northwestern Medicine hospitals in its 2018-19 rankings of America’s Best Hospitals. The Shirley Ryan AbilityLab once again earned the top spot among rehabilitation hospitals in the country, and Lurie Children’s ranked first among children’s hospitals in Illinois. On May 6, the Illinois Precision Medicine Consortium hosted a launch event at Chicago’s Millennium Park, one of many simultaneous events held around the country to mark the program’s launch. U.S. News & World Report recognized three Northwestern Medicine hospitals in its 2017-18 rankings of America’s Best Hospitals. The Shirley Ryan AbilityLab once again earned the top spot among rehabilitation hospitals in the country, and Lurie Children’s ranked first among children’s hospitals in Illinois. U.S. News & World Report recognized four Northwestern Medicine hospitals in its 2016-17 ranking of America’s Best Hospitals. Meanwhile, RIC once again earned the top spot among rehabilitation hospitals in the country, and Lurie Children’s ranked first among children’s hospital in Illinois. 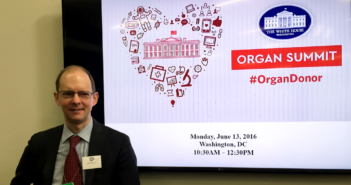 Transplant surgeon Jason Wertheim, MD, PhD, participated in the White House Organ Summit, convened to increase access to organ transplants, reduce the organ waiting list and eventually develop new regenerative medicine technologies. Northwestern Medicine hospitals continue to earn national recognition as part of the U.S. News & World Report ranking of America’s Best Hospitals.